Palm Coast is perfectly located along the Atlantic coast between St. Augustine and Daytona Beach, an easy 30 minute drive from each. The weather is very temperate averaging 78.3 degrees in the warmer months and 60.4 in the cooler months, with an average of 225 days of sunshine. The ITT Community Development Corporation (Levitt) started development in 1969 and today it is recognized as one of the best places to live. Palm Coast is a clean, low crime, low property tax, oceanfront community that offers something for everyone. Flagler County currently has about 100,000 residents and offers miles of easily accessible beaches on the Atlantic Ocean, miles of Intracoastal Waterway and canal front home sites. If boating and fishing is not your thing how about biking, walking or jogging on one of the 2,715 routes located in Palm Coast. Golf on one of the eight courses located here in Palm Coast, or play tennis on ten top of the line Hydro Grid clay tennis courts. Dine in one of the area’s assortment of restaurants with ocean views, steaks and seafood, ethic food and much more. The City of Palm Coast is scenic by design. You will find everything you need commercially but merchant areas are well dressed and landscaped; it is a great example of how to mix convenience with natural buffers and trees. While here in Palm Coast don’t forget to check out Washington Oaks Gardens State Park. With beautiful gardens and a unique rock formation on the Atlantic coast, Washington Oaks Gardens State Park is suited for the entire family. There are plenty of things to do at the Florida Agricultural Museum with petting zoos and horseback riding tours. Palm Coast offers many parks, Epic Theaters and off Broadway shows at the Flagler Auditorium. Palm Coast has top rated public and private schools and is a lovely place to raise a family. 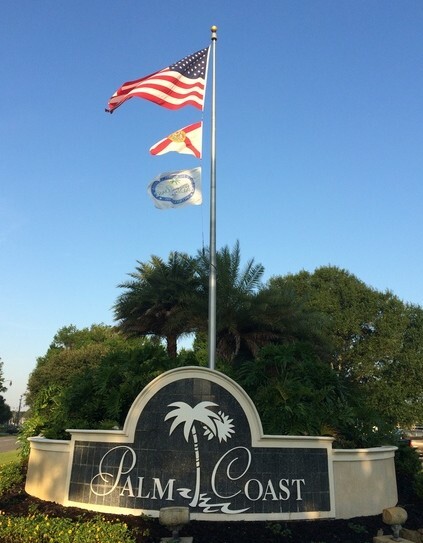 Palm Coast offer a variety in single family homes, waterfront, pool homes, golf communities, gated, maintenance free condos and high quality affordable homes from under $100,000 to million dollar oceanfront properties. Investors can also find income producing properties from which a real estate portfolio can be built. Palm Coast offers it all!